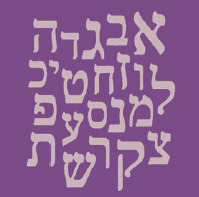 This is a Hebrew course for intermediate students. The course is based on an interactive method, giving space to the student to practice and to make sure s/he is progressing in the learning process. Based on an attractive approach of teaching, with texts and audio-visual materials helping the student to efficiently improve pronunciation as well as listening and fluency skills, the course requires some self-study at home. For more information, please contact Shai Grosskopf on 07935 963 765 or click here to email.